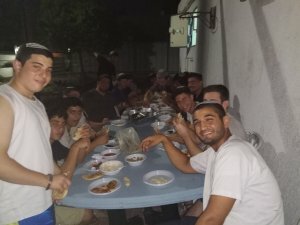 The youth center for religious boys in Sderot was established in response to the need for a place where these youth could receive support and feel at home. 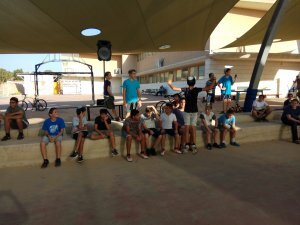 The center provides day to day social activities in a setting where these kids can connect with one another, learn and improve their academic skills. The center is open throughout the year, twice a week for high school students. 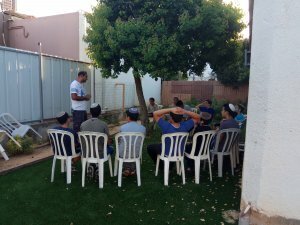 Over 40 youth from Sderot attend the center weekly, where they enjoy educational and value- based activities and learn leadership and community involvement skills. Activities at the youth center include a woodworking workshop, whereby the youth will be building furniture together for the center. 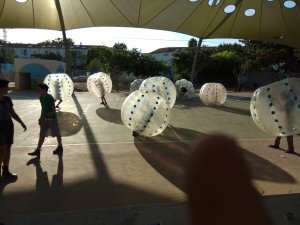 The summer months were full of fun with trips outside of Sderot, outings to the swimming pool, volunteer opportunities in the community, trivia nights and fun outdoor activities for the religious youth of Sderot to enjoy.